Add Casement Windows like these to your home. We install Casement Windows across Bournemouth, Southampton, Portsmouth, Salisbury, Fareham, Hedge-End and surrounding areas. Highly versatile in their installation, our casement windows can be tailored to suit a wide range of property styles. uPVC casement windows have proven themselves to be a highly popular option amongst homeowners looking to bring a timeless new addition to their home, which utilises the latest techniques and materials to secure a market-leading standard of performance and appearance. Our casement windows will serve as a worthwhile investment to your property, making your home and safer and warmer place to be across the course of the year. It won’t matter if your home is modern, traditional, period, heritage, or new build, we’ll be able to offer you a window that will serve as the perfect fit. Simply speak to a member of our team regarding your specifications and we’ll be able to offer you your customisation options according to your needs. 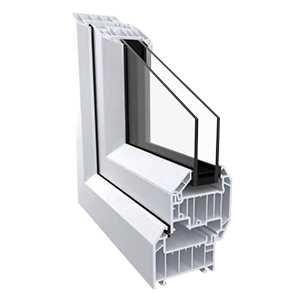 Due to their modern design, all of our uPVC casement windows are able to achieve unrivalled standards of thermal efficiency, security, durability, design, weatherproofing, performance, and appearance. This means that they can completely outclass the timber alternatives of old, offering a contemporary new addition to your property that still stays loyal to the traditional values that have made this window a stand-out option over the years. To ensure you can keep the winter winds at bay, all of our uPVC casement windows are able to achieve an A+ WER (Windows Energy Rating). This means that the warmth produced from your central heating will be able to stay in your property for a longer period of time, which means you’ll be able to experience less heat loss throughout the day. In turn, this could mean that you save money on your heating costs too! This is made possible through an intelligent multi-chambered uPVC profile design, which has been tailored to break up mini-convection currents and trap in pockets of warm air instead of letting them escape. This is then maximised by high-performance weather sealants that are installed to prevent draughts and water ingress reducing the comfort of your home and compromising the structural integrity of the window itself. For your complete peace of mind, all of our uPVC casement windows offer an exceptional degree of security for your home. To an inherent degree, these windows comprise internal structures that enable them to achieve an impressive standard of structural integrity. This is emphasised by the use of premium grade materials that enable for a higher standard of robustness and longevity: even in the face of an attack. To ensure security is kept consistent across the board, we utilise high-security multi-point locking systems across the frame. These locks are installed into the frame and engage at multiple points to avoid any potential weak spots. Further to this, our expert team integrate them inside the frame which prevents them from being accessed by any would-be intruders and used as a leverage point. You can rest assured that you’ll be able to protect your home against modern trends. To ensure our casement windows meet your personal tastes, we are able to offer a wide range of colour options for you to choose from. This includes a comprehensive selection of standard colours, as we all as woodgrain foils that enable you to capture the look of timber without having to worry about any of the maintenance problems. Due to the inherent qualities of the uPVC used in our manufacturing process, all of our casement windows will require very little input from you to ensure they don’t rot, warp, crack, or discolour when they are exposed to the elements or used over a prolonged period of time. All you will need to do is give them a quick wipe down with a damp cloth to keep them looking their best. All of our uPVC casement windows are installed by our professional team, which means you can rest assured that they will perform and look exactly as they should. We have been able to refine our process over our years of experience in the industry to ensure you enjoy the highest calibre of professionalism, reliability, efficiency, promptness and respect for your home and time.